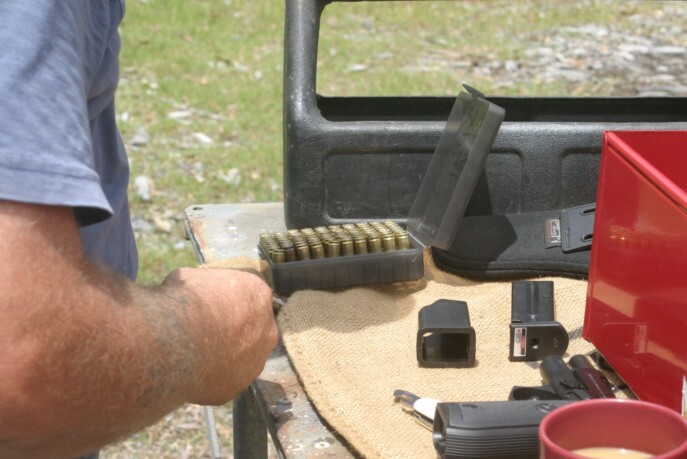 As with any sport, practice is paramount, and practical pistol shooting is no different. 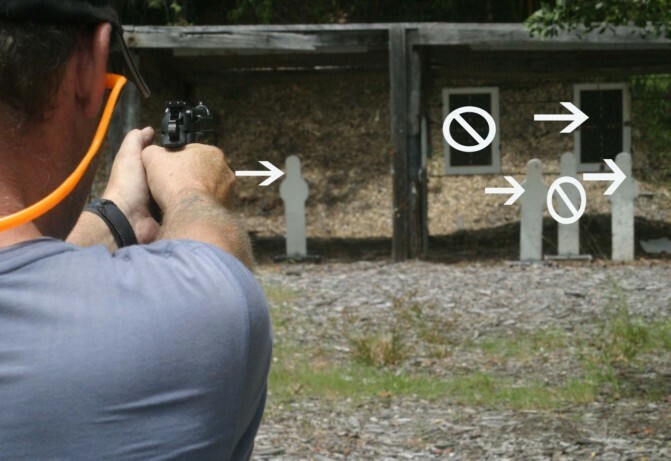 Notice that even while practicing, The shooters finger is always outside the trigger guard, and the pistol is always pointed down range. 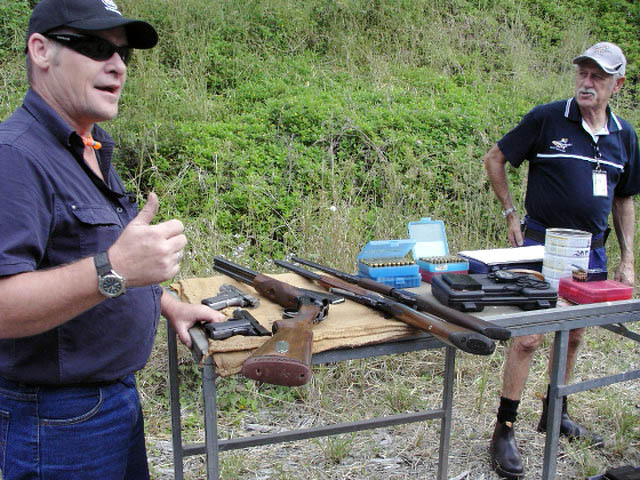 Once the Range Officer is satisfied you understand his theory and instruction, he will take you to the firing line. Anybody of any age can enjoy this challenging and rewarding sport.